It's only February and already there have been a plethora of reports on the exceptional anticipated growth in the digital signage market this year and in the years to follow. In January market research analysts at Technavio published a forecast for 20162020 showing projected growth "at a CAGR of almost 6%"  with the sector expected to rise in value to beyond US$14 billion by the end of the decade. The education sector is a key area for growth. Their report states: "Educational institutions are increasingly adopting digital signage to change and enhance the ways they communicate with students, staff and visitors. The new medium is helping schools and colleges reach their audience with more engaging messages in real time. As a result, more and more educational institutions are expected to adopt the use of digital signage in the coming years, thus leading to the overall market growth". Furthermore, the report highlights how digital signage "has been an inseparable part of the marketing and advertising strategies of retailers", where it is "highly preferred in the retail segment as compared to the traditional printed signage". It is anticipated that the benefits of digital signage  including greater viewer engagement, elimination of print costs and paper waste, dynamic content, and overall cost-efficiency  will continue to attract new users. Interactive applications are expected to be especially important. 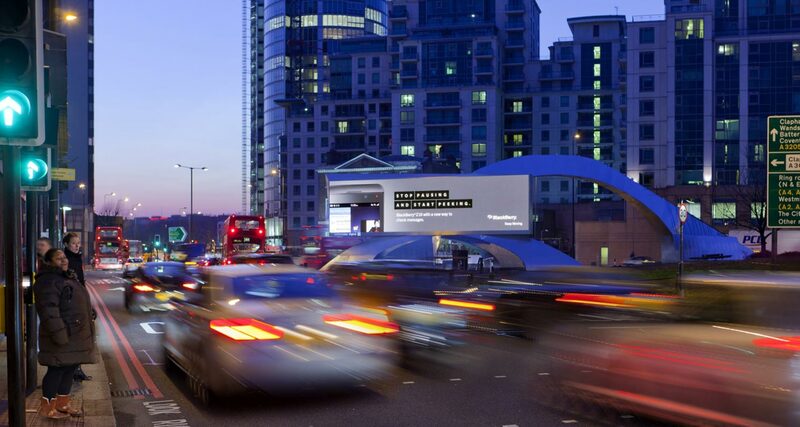 SIS Digital is already involved with interactive projects such as Land Rover's Hibernot DOOH campaign (http://www.dooh.com/land-rover-hibernot/)  featuring live content from users' Instagram feeds via the #Hibernot hashtag. As Frederick de Wachter, co-founder of DOOHapps, says: "Interactivity is a game-changer. If a display is interactive it has more value; you can target better and it's measurable. If you can measure something, you can make it better". "A continuation of smarter screens, better data and dynamic digital video content are all bleeding together, which could help fuel programmatic advancements. This prediction is the result of a perfect storm: while television still nets the bulk of ad spend at US$70 billion a year, eyeballs are moving elsewhere." "Interactive touchscreen kiosks are a noteworthy feature of smart cities, which are growing in number across the globe. These kiosks are used in smart cities for interactive advertisements, online shopping, and tourist information, among others. Kiosk vendors are taking notice of the opportunity they have in smart cities." All of which sounds good to us. Looking forward to a great 2016!